Few things disappoint me more than hearing stories of poor financial choices, especially ones made because of bad information. Too many women (and men, for that matter) handle money management as an afterthought, and doing so can have profound effects. I know that money management isn’t in everyone’s comfort zone, and yet it is essential to a life well lived. I founded Miller Advisors to help empower people to take charge of their financial lives. I’ve helped women and men solve financial challenges that were complex and, to them, overwhelming. What I enjoy most and do best is meeting with clients, one-to-one, to understand their financial present and strengthen their financial future. I enjoy helping identify objectives and personalize goals, managing and preserving wealth, and transferring it to the next generation based on family values. Having a clear financial picture—and a plan for moving forward—is very liberating. I love being part of that process. Understanding men, women, money and relationships, and how we are different. I am a partner in a long-term marriage as well as a mother, daughter, sister and friend. All these roles have taught me something that I use every day in my work. We help put you back in the driver’s seat of your own financial future. Our firm helps remove the obstacles that keep you from seeing your financial picture clearly and then helps you set realistic financial goals. Our advice is independent of outside interests and individual to you. Things should happen to the best intentions. Trust but verify. I was the second of seven children and learned to be an entrepreneur and team worker from a very early age. We had a dairy farm and also raised pigs, sheep, chickens and ducks. The cows needed to be milked at 5:30am and again at 5:30pm, so we were never able to travel too far and a trip was always pre-planned. My first job other than babysitting was de-tasseling corn. We worked hard, but we also played hard! Seeing a client live their retirement dream and passing the family values forward. Traveling the world and meeting new people, listening to and writing their stories. Screenplay to follow! As company founder, president and CEO and senior advisor, Kathleen has more than three decades experience helping individuals and families grow, protect and pass on their wealth. She is a Certified Financial Planner®, a Certified Divorce Financial Analyst™, and holds a Master of Business Administration degree. She has published two books, authored numerous articles for legal and financial trade journals and has been quoted about financial planning and post-divorce financial issues in national magazines and newspapers. Kathleen frequently serves as a guest lecturer on investment, money management and divorce related topics to organizations such as the Washington Bar Association, the American Women’s Economic Development Corporation, Eastside Estate Planning Council, and Northwest Family Business Advisors. Kathleen has done Boeing pre-retirement seminars, financial planning series for PACCAR, and seminars for Honeywell and Microsoft. Kathleen attended the undergraduate Iowa Writer’s Workshop and graduated with a degree in English and Creative Writing. 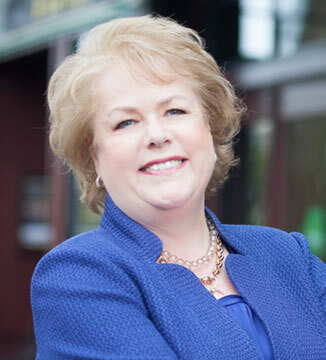 Kathleen is on the Seattle University Innovation and Entrepreneurship Center Advisory Board, where she has participated as a judge for the annual business competition and is the chairperson for the family-owned business committee. An avid reader and writer, Kathleen has lived abroad in Brussels, Belgium and continues to travel the world whenever she can. A month-long safari in Tanzania and Kenya was one of her favorite trips. Longevity is part of her family heritage, especially for the women. Kathleen is a second-generation Luxembourg and German Iowa farm girl with five siblings still living in Iowa and a farm that has been in her family for 70 years.